Hey Siri, Ready for an Antitrust Lawsuit Against Apple? Guess Who’s Suing. The AI personal assistant with the “most usage” spanning connectivity across all smart devices, will be the anchor upon which users will gravitate to control their ‘automated’ lives. An Amazon commercial just aired which depicted a dad with his daughter, and the daughter was crying about her boyfriend who happened to be in the front yard yelling for her. The dad says to Amazon’s Alexa, sprinklers on, and yes, the boyfriend got soaked. Serve up content / information, which could then be mixed in with advertisements, or ‘intelligent suggestions’ based on historical data, i.e. machine learning. Proactive, suggestive actions may lead to sales of goods and services. e.g. AI Personal Assistant flags potential ‘buys’ from eBay based on user profiles. An abstraction layer between the user and their apps; The user need not ‘lift a finger’ to any app outside the Personal Assistant with noted exceptions like playing a game for you. User Profiles derived from the first two points; I.e. data collection on everything from spending habits, or other day to day rituals. Proactive and chatty assistants may win the “Assistant of Choice” on all platforms. Being proactive means collecting data more often then when it’s just you asking questions ADHOC. Proactive AI Personal Assistants that are Geo Aware may may make “timely appropriate interruptions”(notifications) that may be based on time and location. E.g. “Don’t forget milk” says Siri, as your passing the grocery store. Around the time I leave work Google maps tells me if I have traffic and my ETA. It’s possible for the [non-native] AI Personal Assistant to become the ‘abstract’ layer on top of ANY mobile OS (iOS, Android), and is the funnel by which all actions / requests are triggered. Microsoft Corona has an iOS app and widget, which is wrapped around the OS. Tighter integration may be possible but not allowed by the iOS, the iPhone, and the Apple Co. Note: Google’s Allo does not provide an iOS widget at the time of this writing. 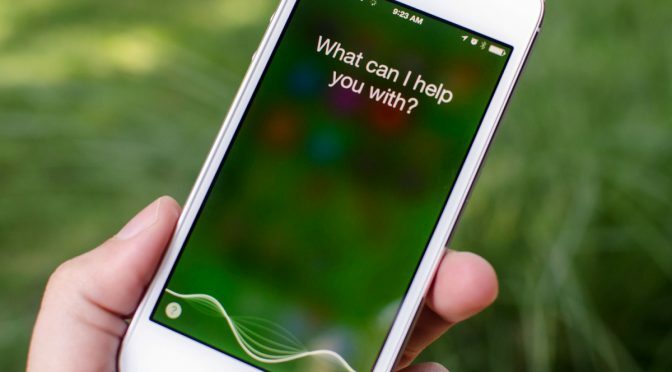 Antitrust violation by mobile smartphone maker Apple: iOS must allow for the ‘substitution’ of a competitive AI Personal Assistant to be triggered in the same manner as the native Siri, “press and hold home button” capability that launches the default packaged iOS assistant Siri. Reminiscent of the Microsoft IE Browser / OS antitrust violations in the past. Holding the iPhone Home button brings up Siri. There should be an OS setting to swap out which Assistant is to be used with the mobile OS as the default. Today, the iPhone / iPad iOS only supports “Siri” under the Settings menu. ANY AI Personal assistant should be allowed to replace the default OS Personal assistant from Amazon’s Alexa, Microsoft’s Cortana to any startup company with expertise and resources needed to build, and deploy a Personal Assistant solution. Has Apple has taken steps to tightly couple Siri with it’s iOS? The interactive voice menu should also provide a level of abstraction when available, e.g. User need not select the app, and just say “Create Reminder”. There may be several applications on the Smartphone that do the same thing, such as Note Taking and Reminders. In the OS Settings, under the soon to be NEW menu ‘ AI Personal Assistant’, a list of installed system applications compatible with this “AI Personal Assistant” service layer should be listed, and should be grouped by sets of categories defined by the Mobile OS. Capability to interact with IoT using user defined workflows. Hardware and software may exist in the Cloud. Ever tighter integration with native as well as 3rd party apps, e.g. Google Allo and Google Keep. Apple could already be making the changes as a natural course of their product evolution. Even if the ‘big boys’ don’t want to stir up a hornet’s nest, all you need is VC and a few good programmers to pick a fight with Apple.